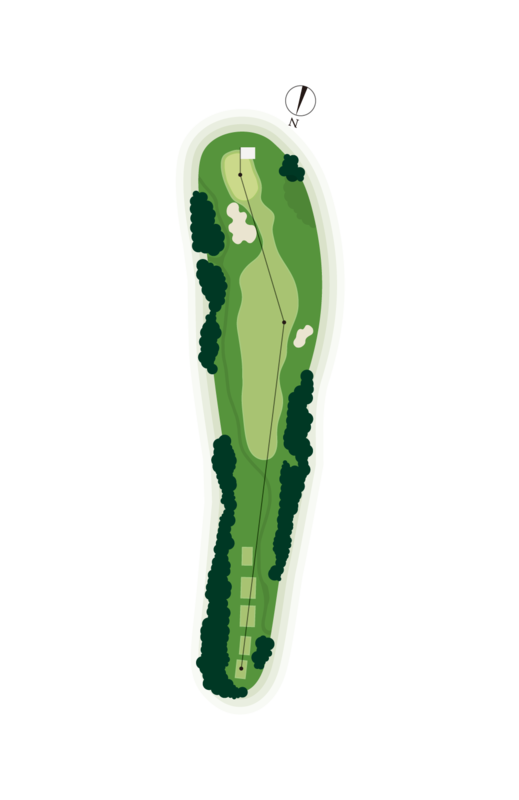 There are two approach routes to this short yet highly challenging par-4, one to the left and one to the right of the two trees standing in the center of the fairway. 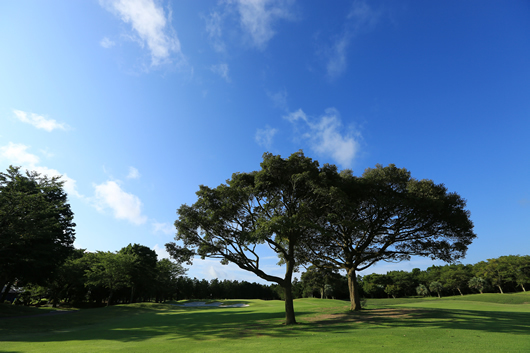 Because the two trees block your way to the green, the key to success is your tee shot. The safest route is the right-sided one, as there is no risk of having to take your second shot from beyond the bunker. 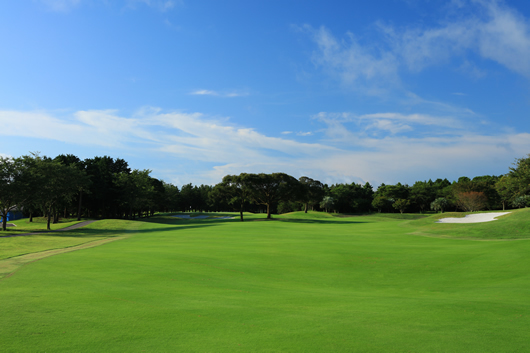 The green is large, but make sure your ball doesn't go over it.